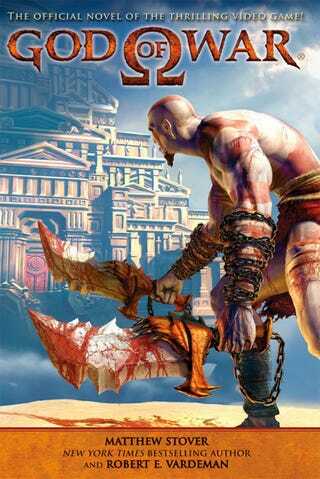 Is The Story of God Of War Worth... Reading? Fortunately, you can determine that for yourself. Not by judging the cover of the novelization of the PlayStation video game, but by reading the first chapter of the God of War book, now online and freely available to read. Sony's offering up the first 17 pages of Matthew Stover and Robert E. Vardeman's text-based take on the adventures of Kratos, which ships in paperback form on May 25. If you prefer your retold entertainment more passively delivered, opt for the audio book version, which ships at the same time. Or, if you're more of an e-book person and want to brag about having God of War on your Kindle, you have that option too. Read the first chapter of God of War, the "official novel of the thrilling video game," in PDF form here. Tell us what you think.